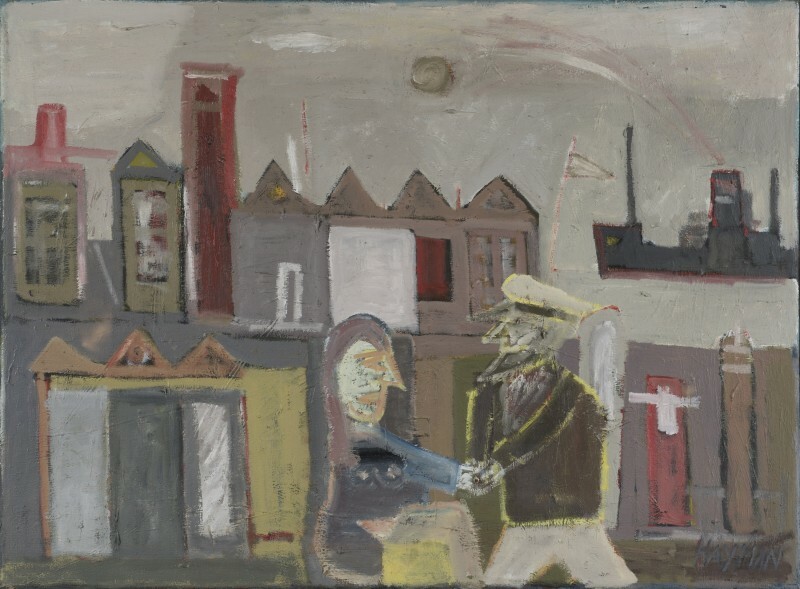 Born in London in 1915, Patrick Hayman was an English artist who worked in a variety of media including painting, drawing and three-dimensional constructions as well as poetry. He moved to New Zealand at the age of 19 and it was only then that he began to paint after being inspired by a long, contemplative walk on the South Island. 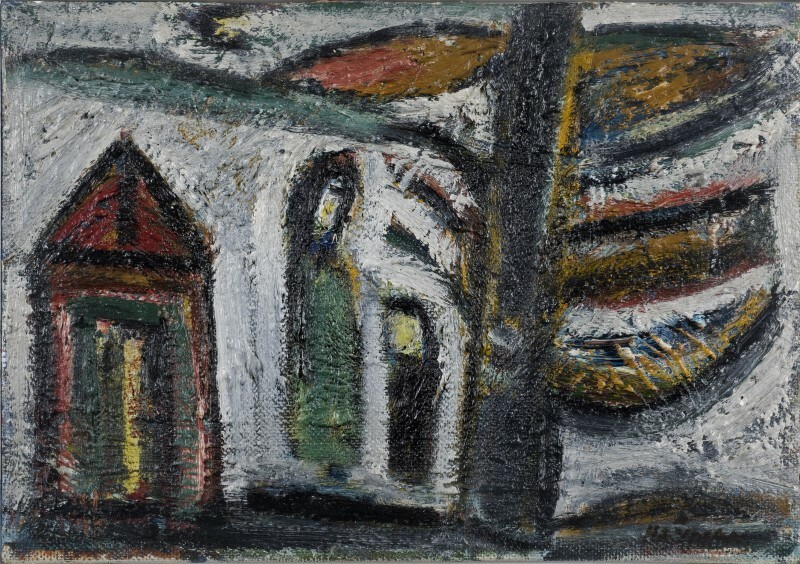 He also became associated with a group of young artists who developed New Zealand's first indigenous Modernism. 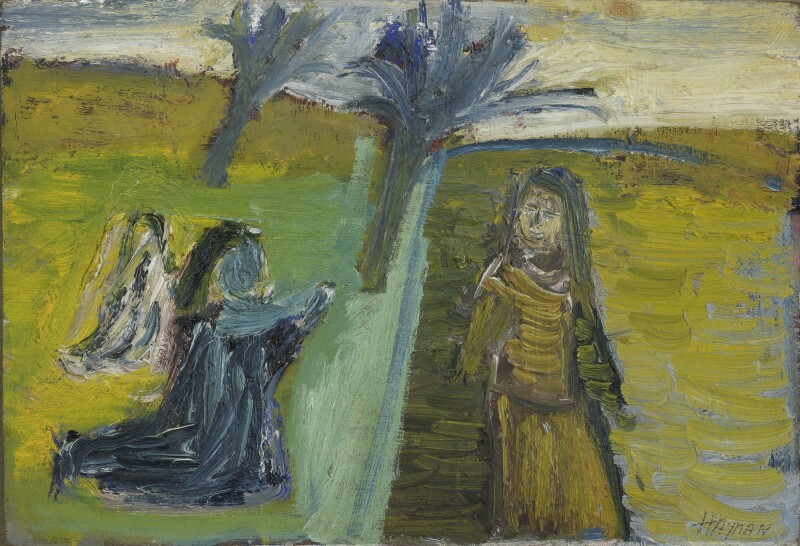 He returned to England in 1947 and became part of the burgeoning post-war art scene in Cornwall, which included an involvement with the prevalent St Ives Group. From 1958 to 1963 he edited The Painter and Sculptor, a quarterly magazine of the arts that fervently promoted humanistic figurative art. Hayman’s painting style, informed as it was by literary, historical, religious and mythological stories, was quite removed from traditional models. He often worked on several pictures over a period of time – adding, forming, changing and over-painting, finally achieving a luminous, textured surface. He was an admirer of Marc Chagall, Edvard Munch, as well as Alfred Wallis. He also felt an artistic kinship with Oceanic artists and Byzantine icon painters. 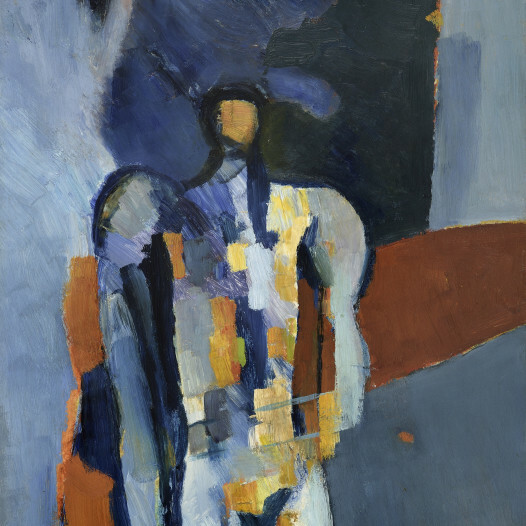 Hayman was the subject of an exhibition of recent work at the Whitechapel Art Gallery in 1973, and in 1990 the Arts Council of Great Britain organised a large-scale retrospective, which toured the UK. His work is held in many public collections, including the Arts Council, Ben Uri Gallery & Museum, and Tate.